One of the most common issues that people have with their Instant Pot is knowing how to clean the Instant Pot sealing ring that sits inside the lid, this guide will help you find the best methods to clean yours. Buy the NEW INSTANT POT DUO MINI I love it! 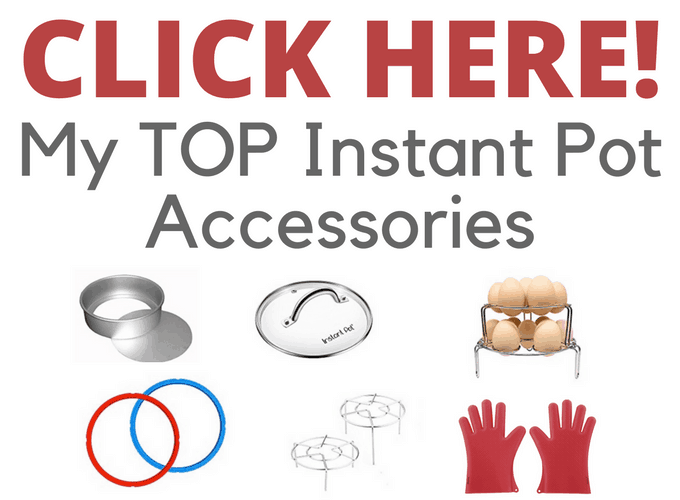 Here’s my Top Instant Pot Accessories list. The Instant Pot silicone seal that sits in the lid is prone to absorbing smells from your food and it can be tricky to remove them completely. So here are a few tips and tricks that have worked for some people and may help you out, though I can’t guarantee that any of them are foolproof as I’ve not tried them all. If you have some ideas that have worked for you that I’ve not covered then please let me know in the comments! STEAM IT – you can steam clean the pot and the seal by simply adding 2 cups of white vinegar, or 2 cups of water with a cut up lemon. Then run your pot on the steam cycle for at least two minutes. DISHWASHER – run it through the top rack of the dishwasher on the hottest cycle, this seems to work well for many people. LEMON JUICE – soak it overnight in lemon juice and rinse in the morning. WHITE VINEGAR – soak it in diluted white vinegar and see if that works. SECOND SEALING RING – It’s a good idea to have separate sealing rings for dessert and savory foods. I have a third ring that I use for strong spicy food as it tends to ‘stick’ to the sealing ring more than my other recipes. PUT IT IN THE SUN – I’ve read that some people have had some success leaving the cleaned ring in the sun for a while. As it’s the dead of winter right now I haven’t had a chance to try this option..
Don’t forget to check out my list of my favorite Instant Pot accessories! Are there any other methods you prefer to clean the Instant Pot sealing ring? My sealing ring stinks and even the dishwasher doesn’t get it out properly, I’ll need to look at your list and see if there’s something else that works. Hi Emma, yes it can be a bit of an issue but hopefully you’ll be able to get it properly clean with one of these tips. Does the smell transfer and make the dish taste that way? Hi Jasmine, well it depends on how smelly it is and what the next dish is that you are cooking. So if you are cooking dinners that have onions, garlic, meat and that sort of thing it generally won’t transfer in any noticeable way, especially if you’ve cleaned it properly. But, I wouldn’t use a ring that’s been used for savory foods and has a lingering odor to cook something with a mild, sweet or neutral taste, such as a cheesecake because I would be concerned that it may transfer enough to ruin the taste. I have several rings and I keep one for desserts that’s not been used for savory stuff. I’ve been able to get the smell out of the ring by soaking it in hot soapy water, then running it through the dishwasher. I think this is a problem instant pot needs to recognize and address. When I cooked salsa chicken in it the first use the cumin smell permeated the ring. I cannot get it out. I called the company and they said I could order another one for sweet foods. 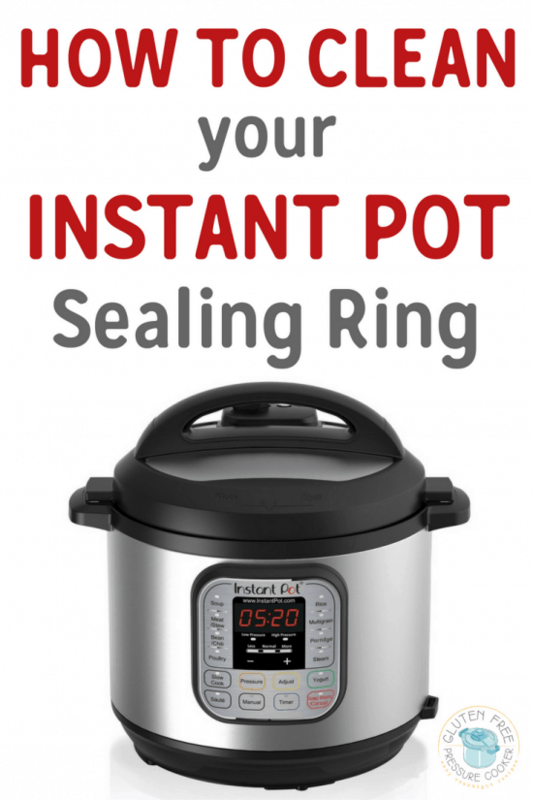 When they told me that would be $12 plus shipping and handling I was really irritated and told them that this was clearly a problem and after paying $100.00 for the instant pot I was not excited to pay more to get another sealing ring. I asked nicely if they could send it complimentary. She asked me to hold while she spoke to a manager. I was happy to. When she returned she said she could make an exception and send it to me free of charge this one time. I was very pleased. I suggested that if the problem could not be solved perhaps they ought to send instant pots with 2 rings. She also mentioned that someone uses coffee grounds to remove the smell. I will try that when I find a neighbor that drinks coffee. I hope that is helpful. Thanks for the info. I’ll use it when I call to get a replacement ring.. I tried the vinegar and baking soda, no luck. I finally filled my sink with water, dish detergent and 1/4 tsp Clorox. Let is wash/ soak for about 30ish seconds and then soaked it in plain water. Smell gone! For what it’s worth, below is a link to a press release from the Instant Pot manufacturer, warning about unauthorized and therefore potentially unsafe rings from third party vendors. I looked on the Instant Pot Web site and see that they now offer replacement rings for my 6 quart IP with free shipping. I’m guessing they got a lot of heat both for the quality of their rings and for charging shipping for the replacements. Quite a few of the rings are marked as “sold out” so they must be selling a boatload of them. I’m not sure if Amazon’s Genuine Rings are “genuine” or not. Since this is a safety issue as well as a food quality issue, I’m going to go with the Instant Pot rings. Before running across this IP press release, I ordered a set of red/blue rings online from a Walmart third party vendor and will be returning them as soon as they arrive. I’m sure Walmart will fight like tigers about giving me my money back since the third party vendor site states no returns except to them directly, with a 15% restocking fee. These are, to be sure, the same people who refused to give us our money back on boxed wine with mold growing on the spout until we threatened them with the County Health Department. Yep.. they smell. But rather than keep the stink in the cupboard where I store my IP, I’ve put a hook on the back of my laundry room door which is next to the kitchen. I hang the rings on the hook in the other room and it’s not that big of a deal. I tried several of the above ways to clean my stinky ring, but it still stank. I put it in soapy water and added several drops of lemon essential oil and let it soak a long time. Now it does not stink – yay. Now, I wash it every time I use it and don’t store it with the lid closed.